Captain Nelson and his beautiful daughter Freya live on a small island somewhere between Borneo and Sumatra. Freya is courted by Jasper Allen, owner of a grand brig, who is determined to do everything that it takes to win Freya's heart. 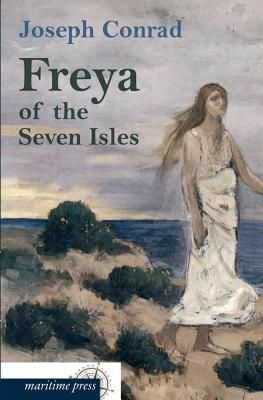 In the fight for his love he risks his ship and even his life ... Freya of the Seven Isles, originally published in 1912 in Conrad's volume of tales Twixt Land and Sea, is a moving romantic tale written by one of the masters of English literature. Joseph Conrad was born in 1857 in former Poland. In 1886 he obtained British citizenship and two years later was appointed captain of the British merchant marine. His voyages to the Malay Peninsula and to the Congo Free State became the setting for his stories. Conrad published many tales and novels in English and is still regarded as one of the most brilliant authors in English literature. He died in 1924 in England.